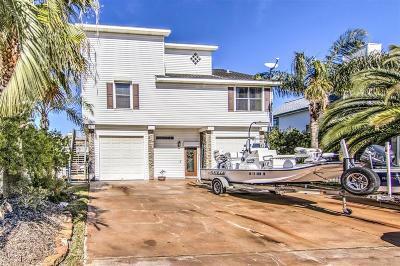 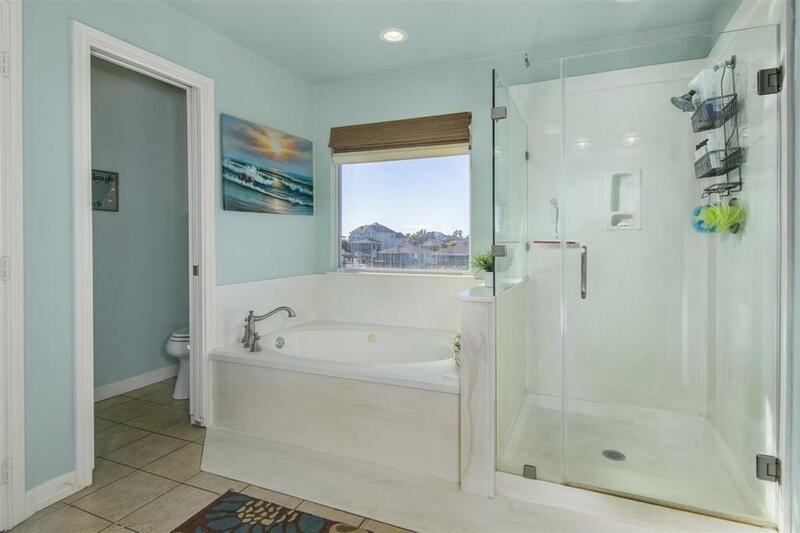 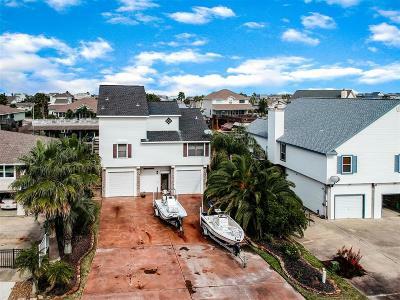 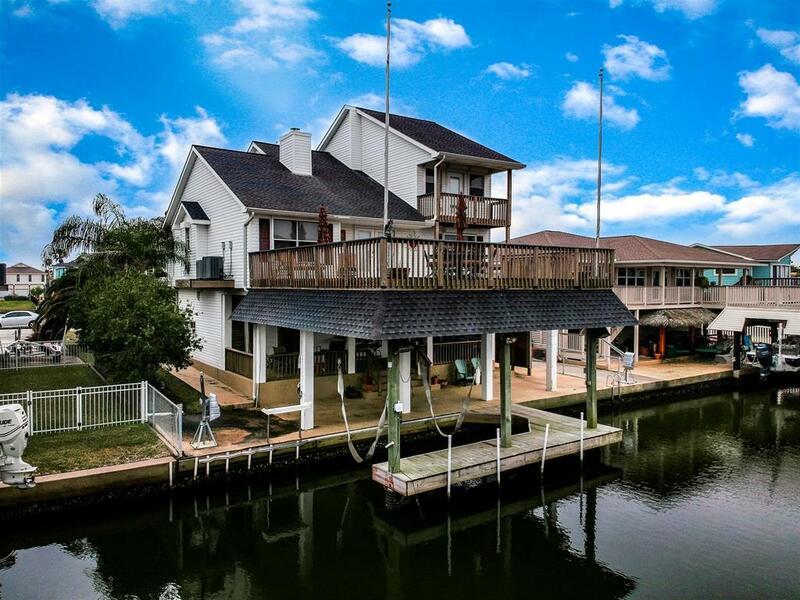 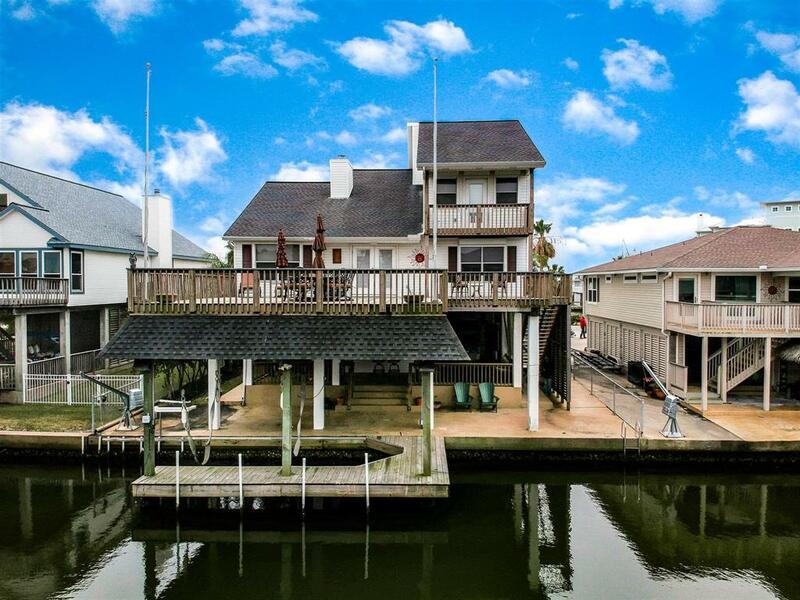 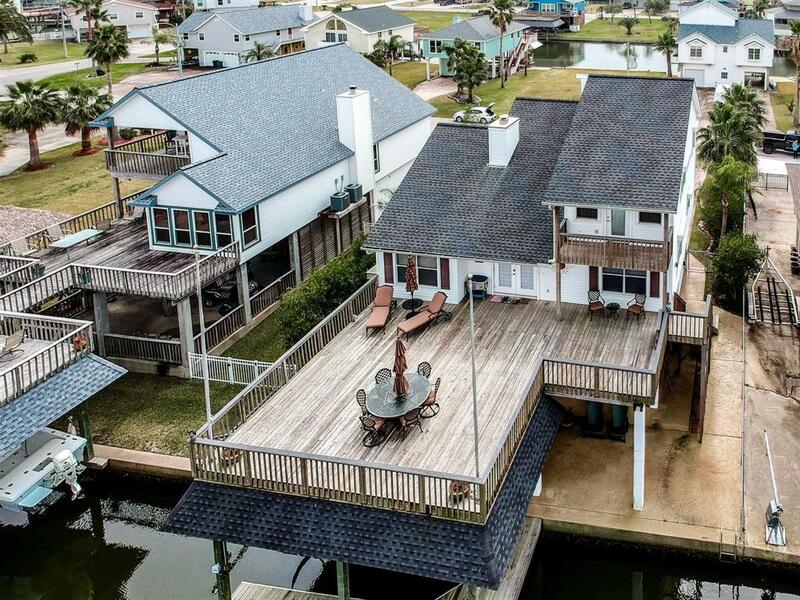 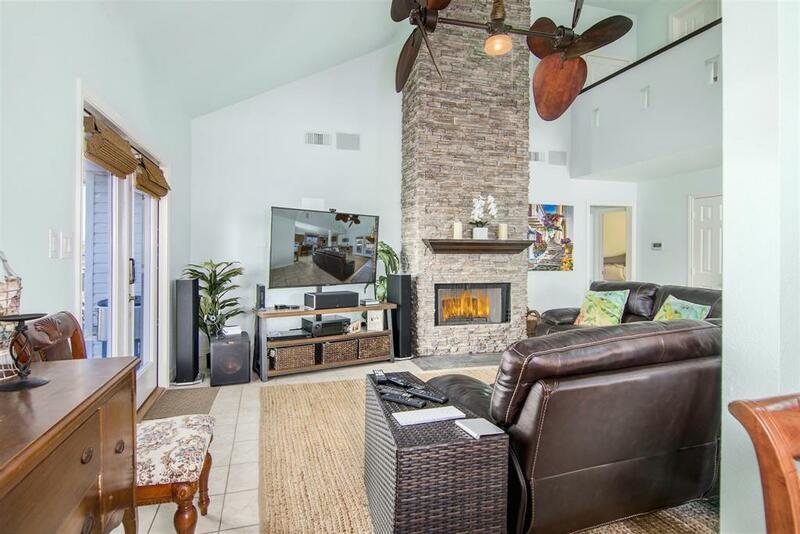 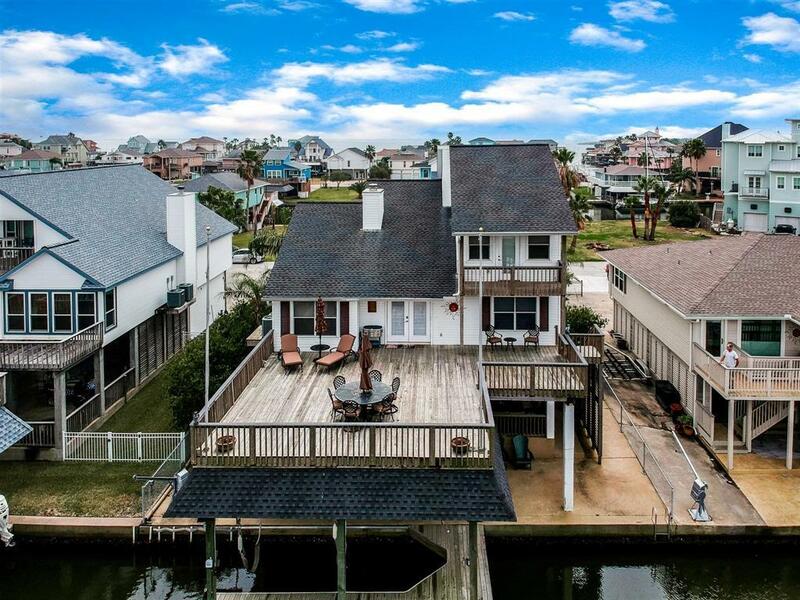 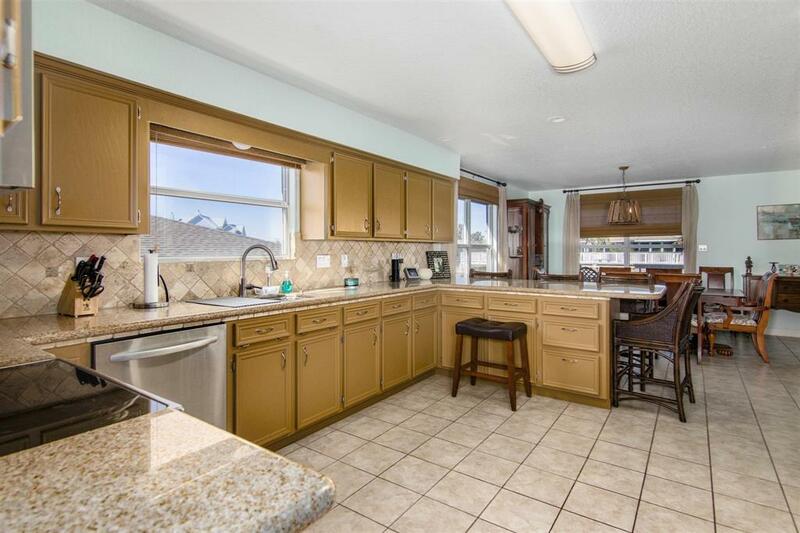 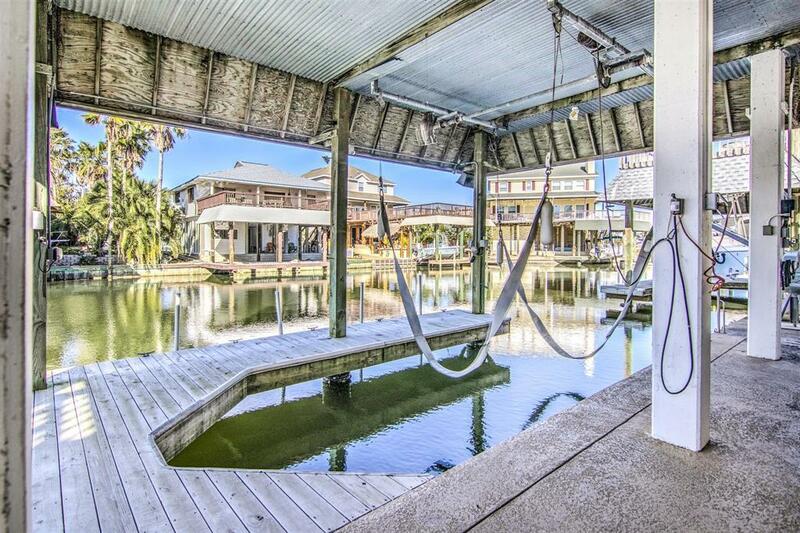 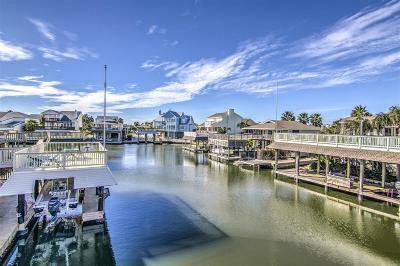 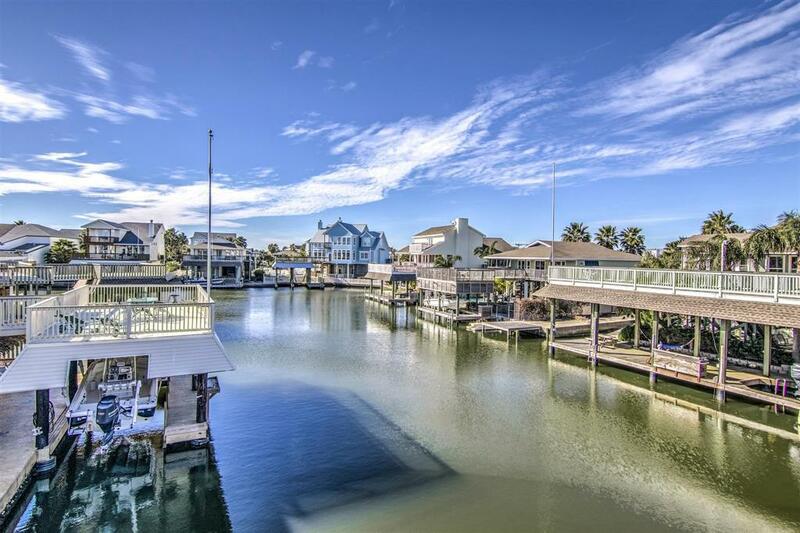 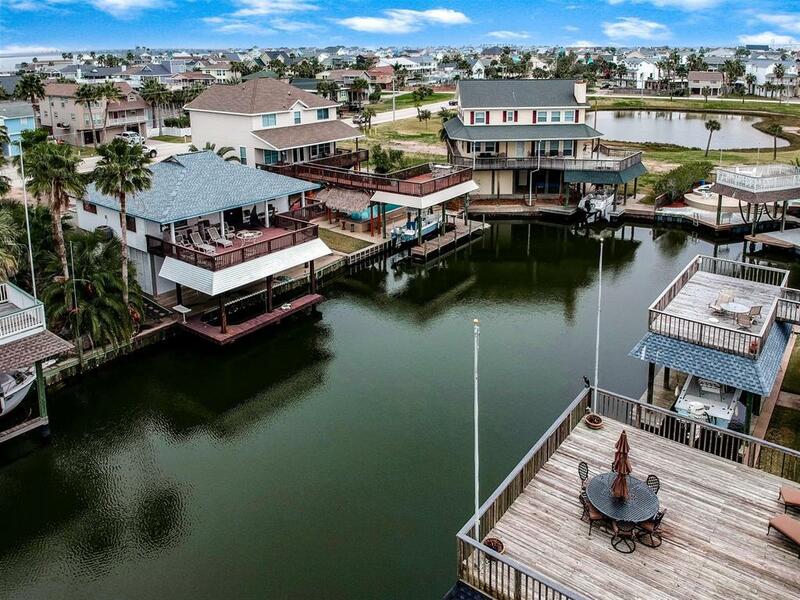 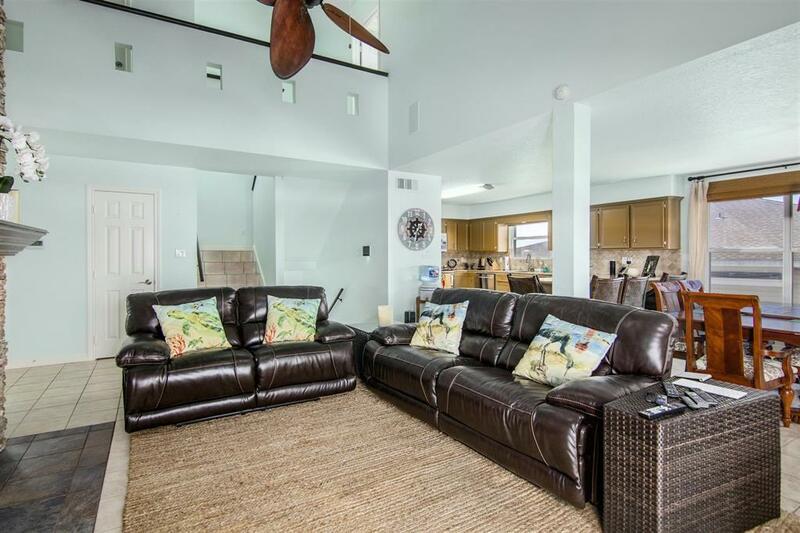 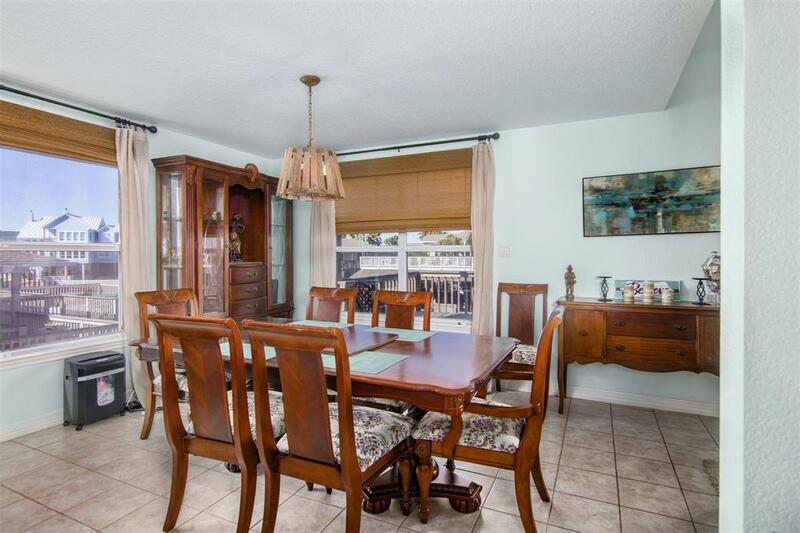 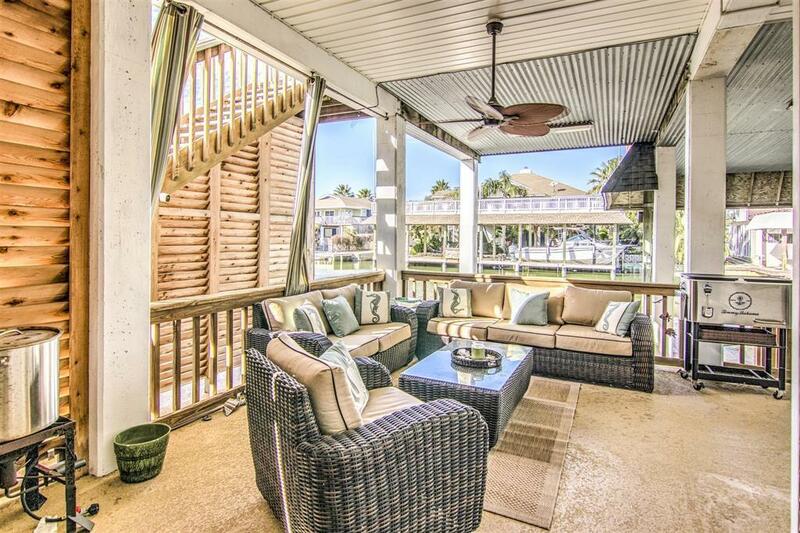 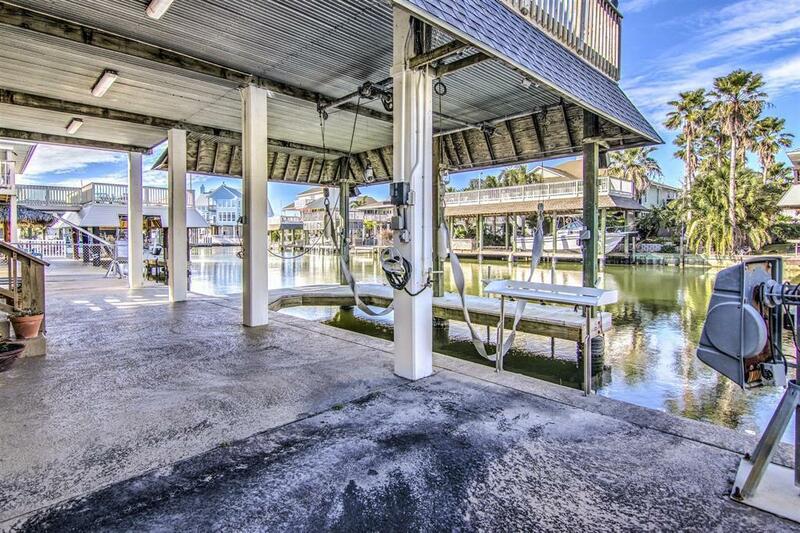 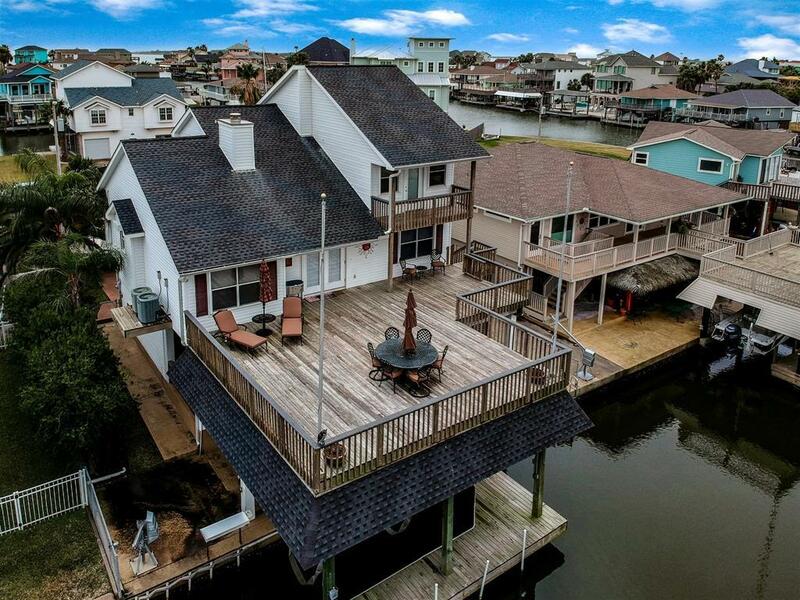 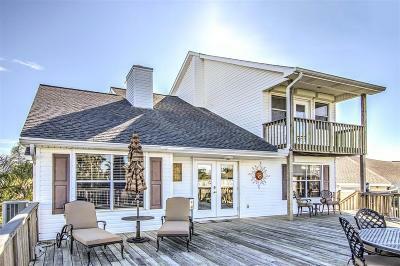 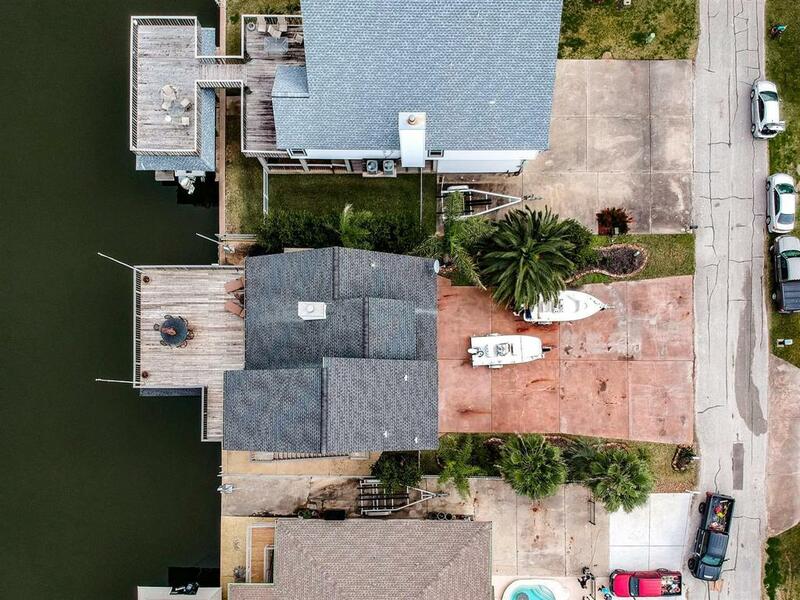 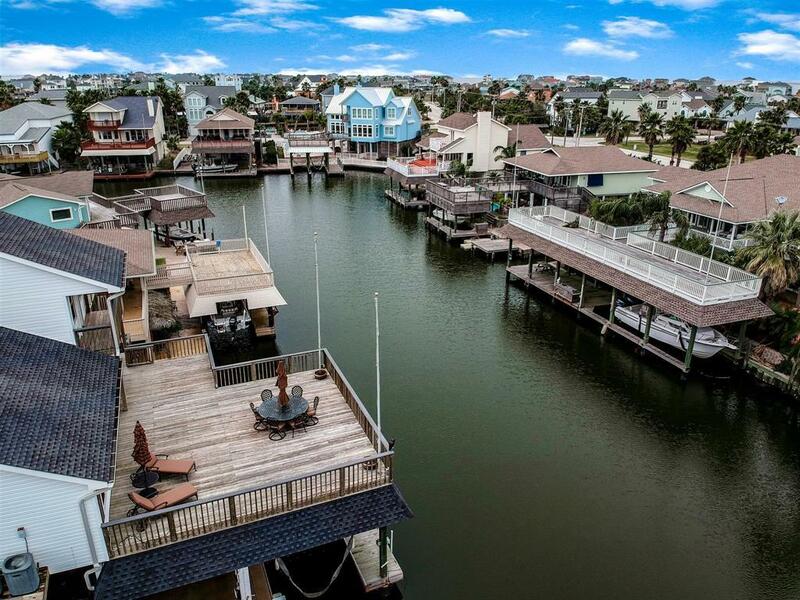 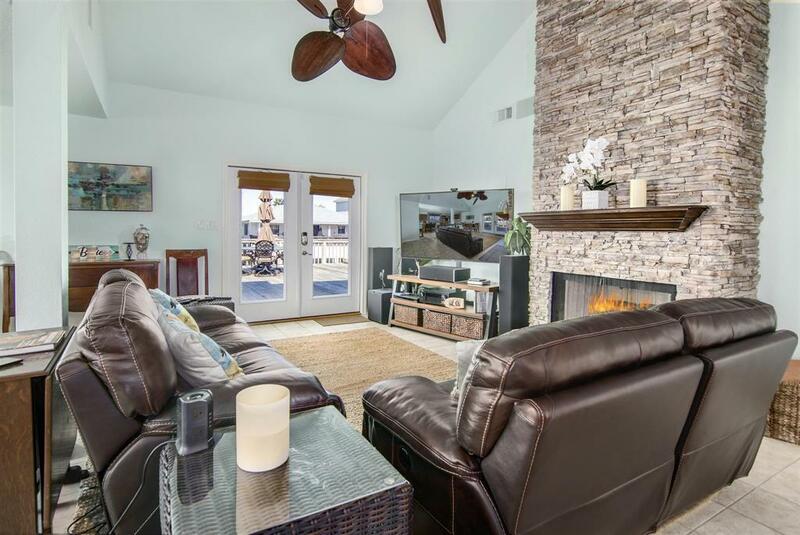 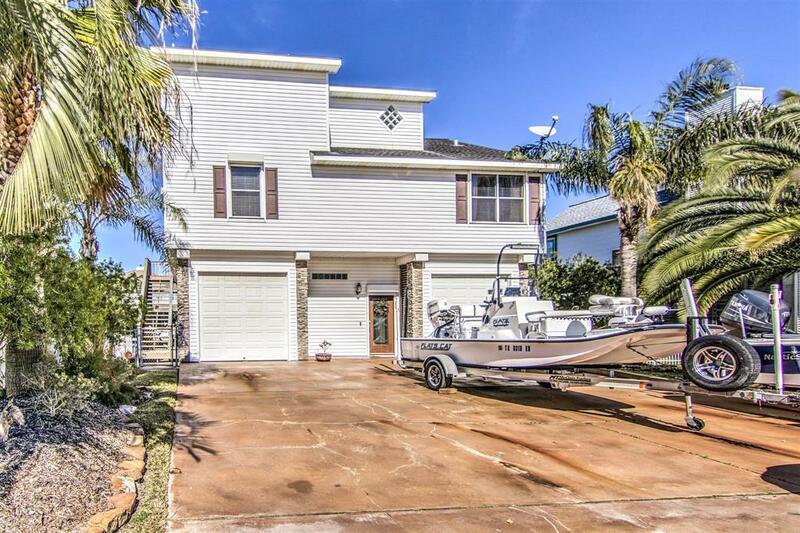 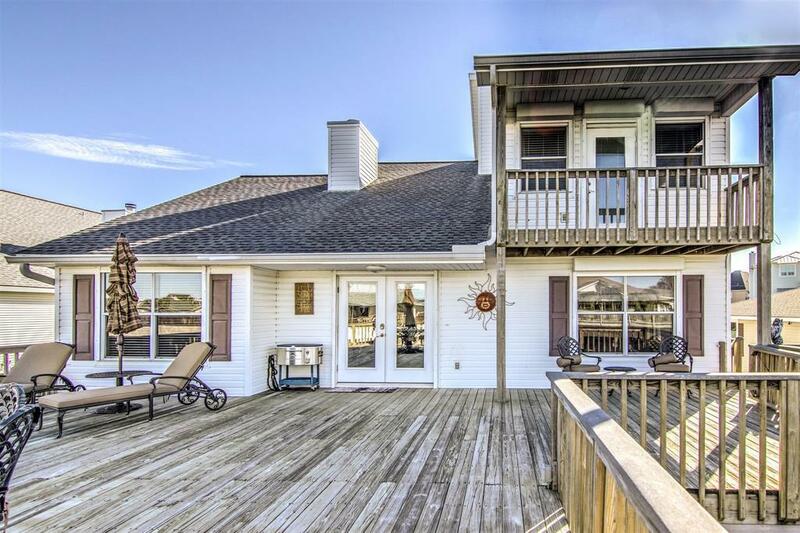 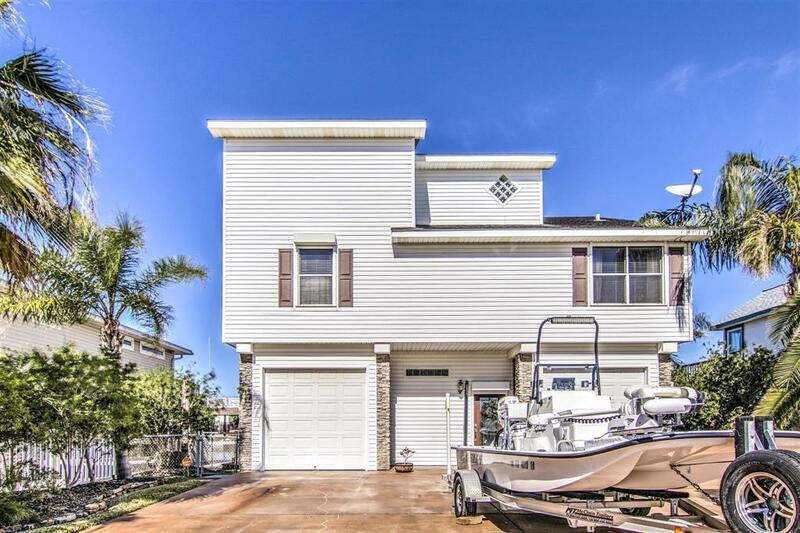 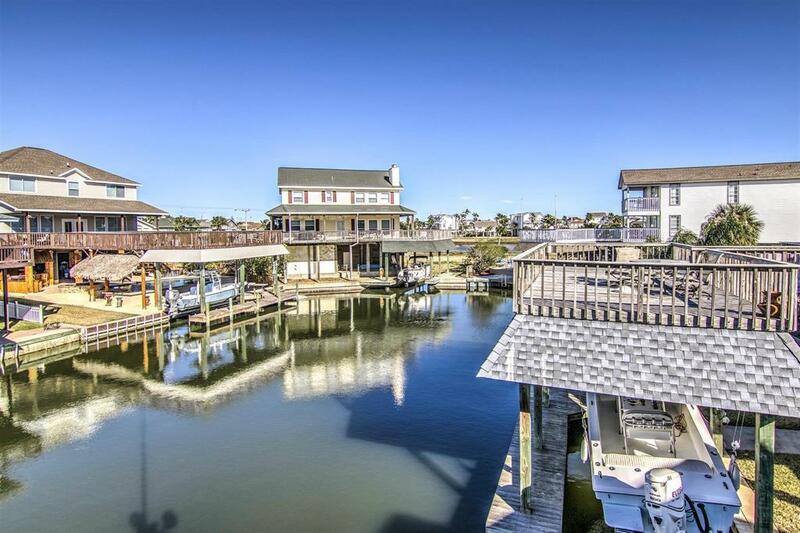 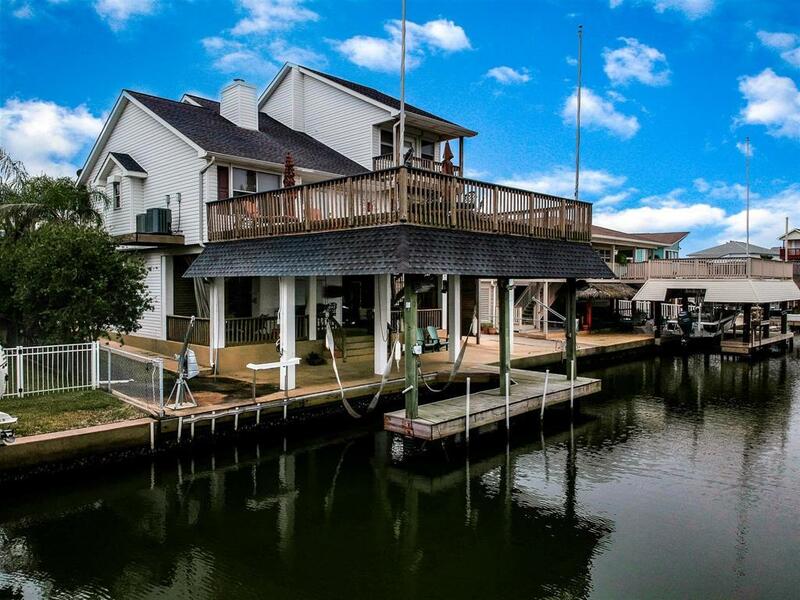 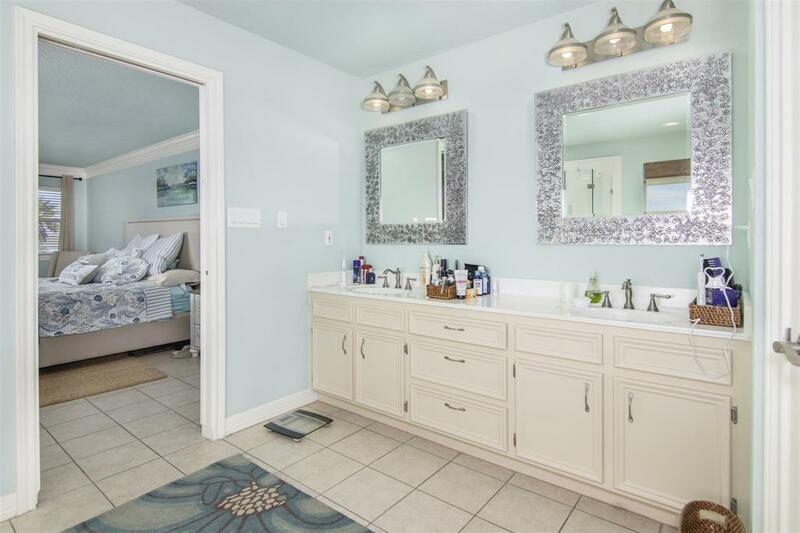 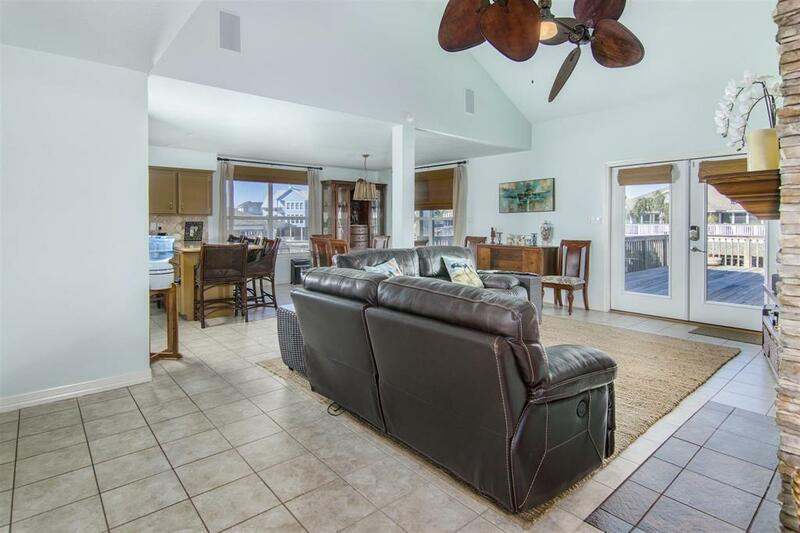 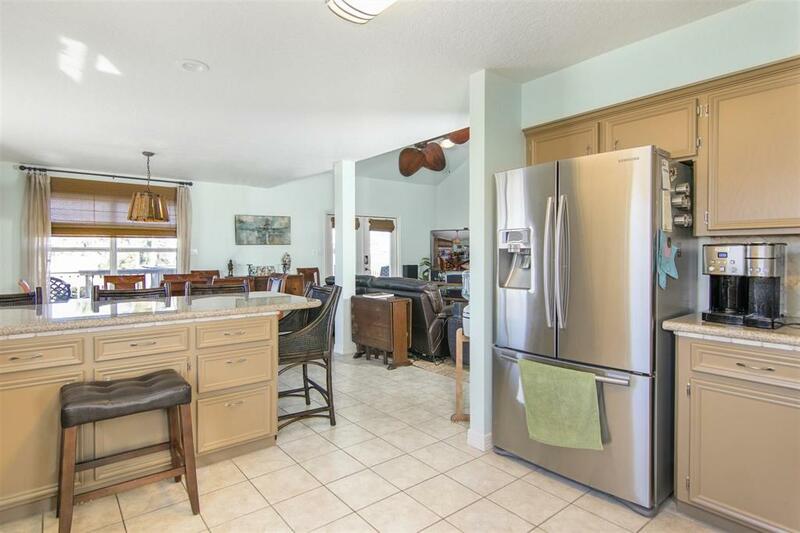 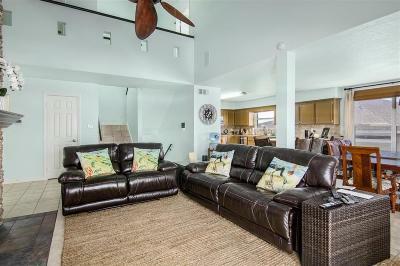 Gorgeous home on the canal leading directly to waterway. 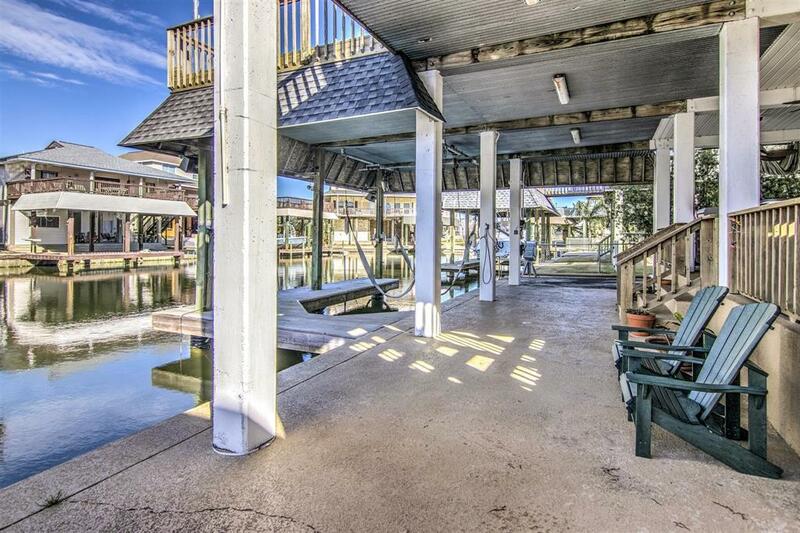 Upon arrival you will notice the stained and sealed concrete driveway. 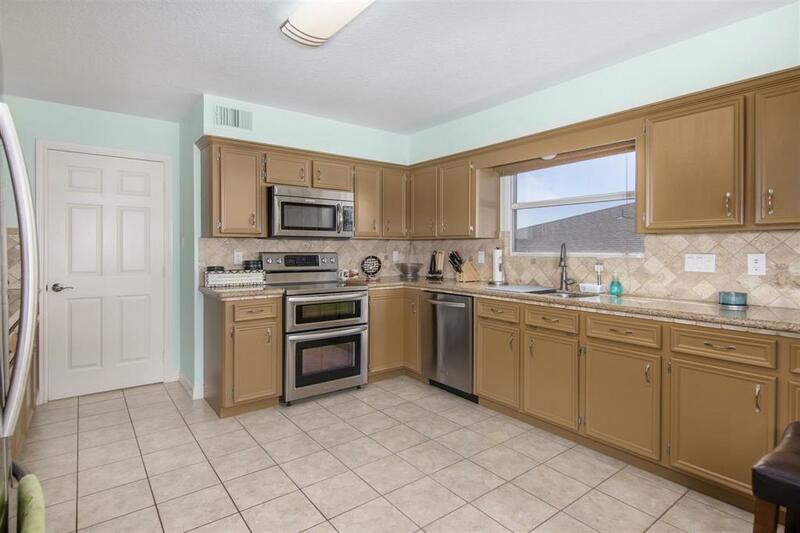 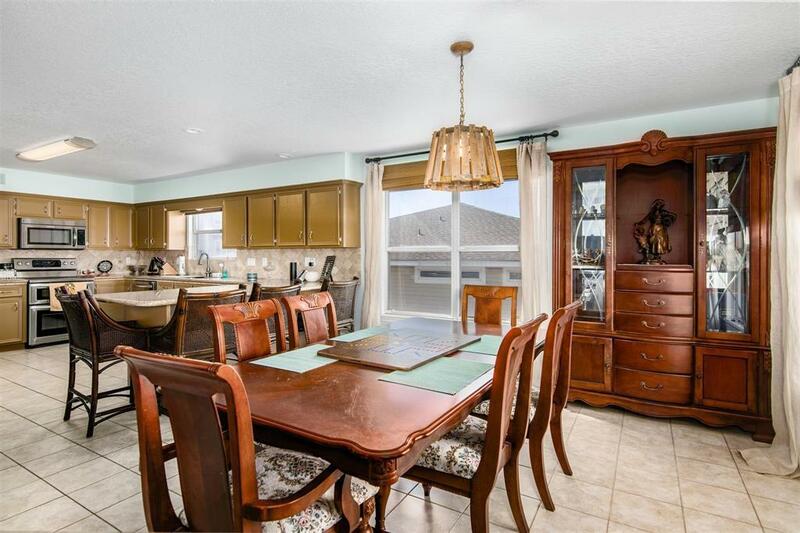 The interior features include a stone fireplace, vaulted ceiling with a dual horizontal Palm fan, stainless steel appliances, electric storm shutters on all doors and windows, custom drapes and blinds plus many extras! 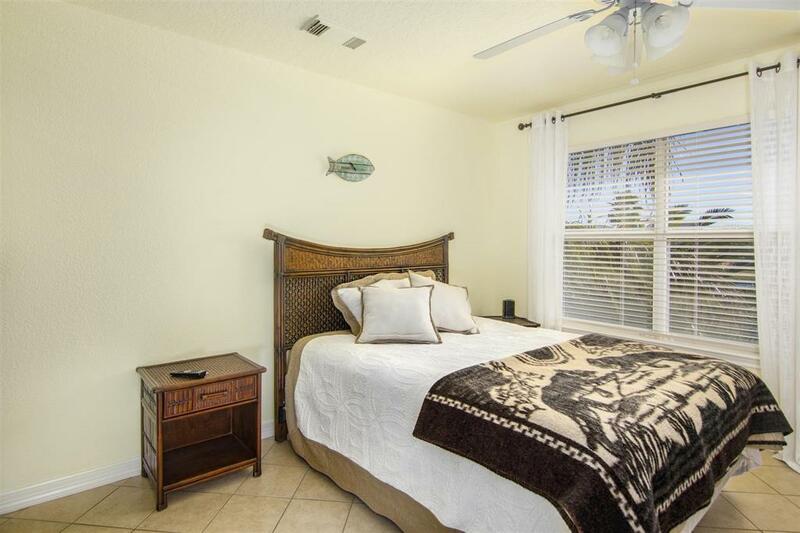 Then escape to your private master suite and office on the second floor with both guest rooms on the main floor. 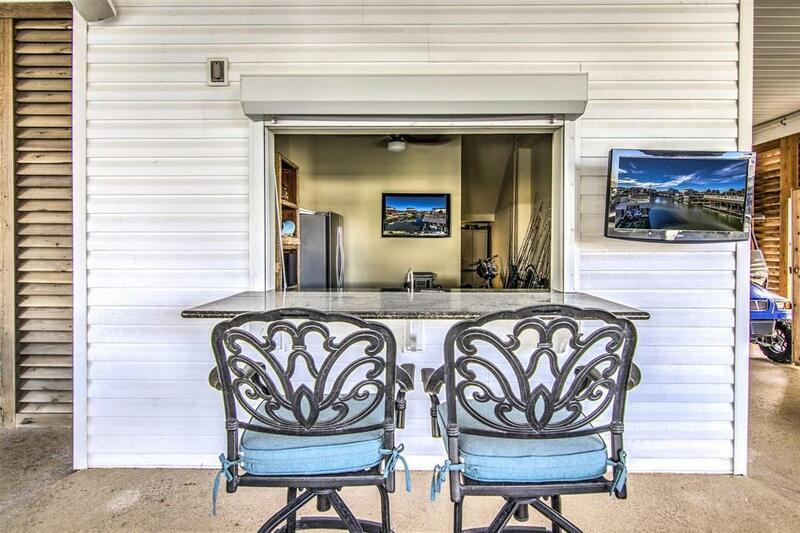 New electric garage door openers. 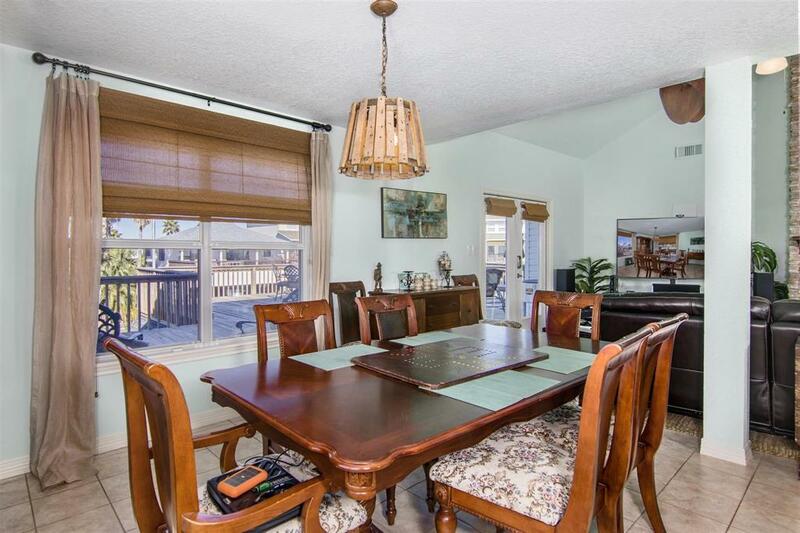 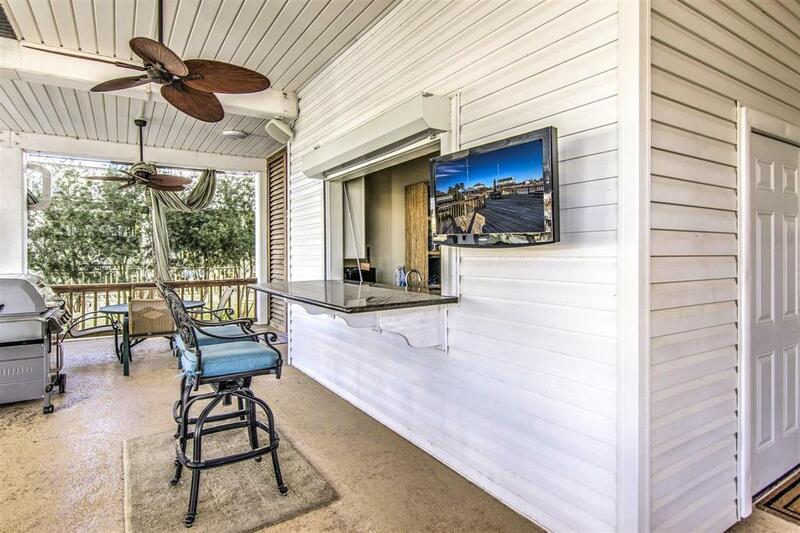 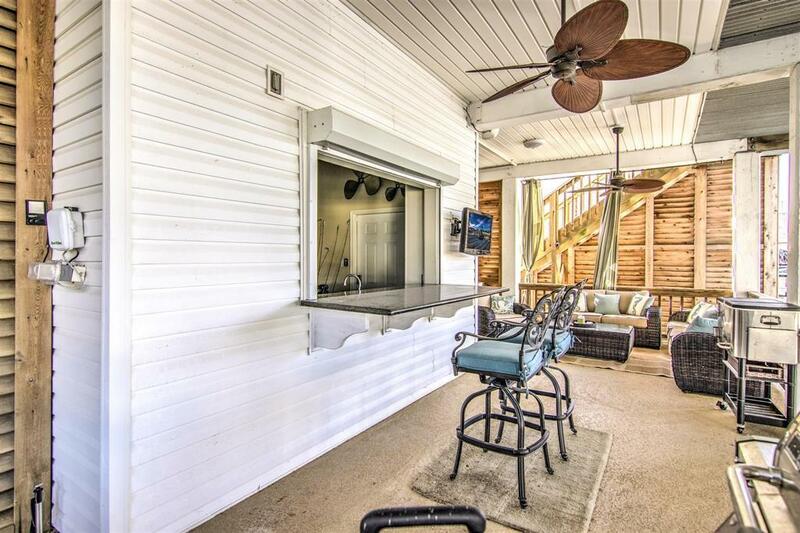 Great outdoor living area for entertainment including cool decking, fish cleaning station, wet bar, TV's and a mini fridge to stay with the property! 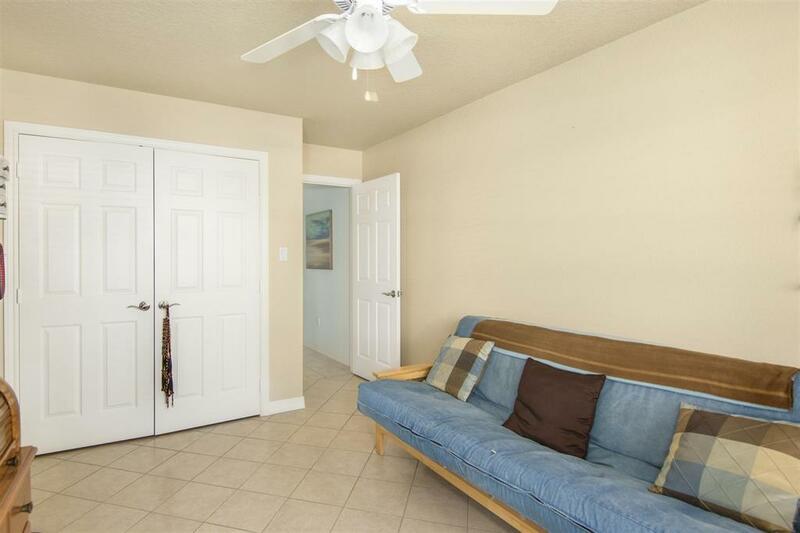 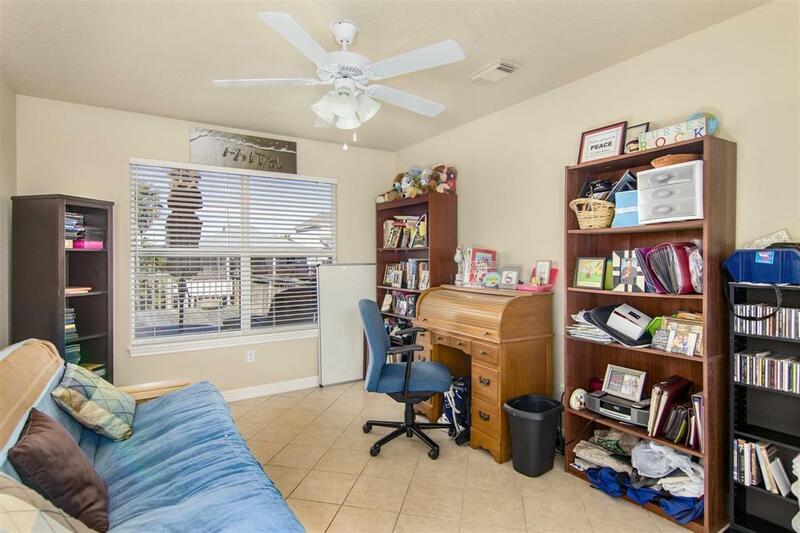 Bonus room downstairs is great for storage, a workshop or for your golf cart. 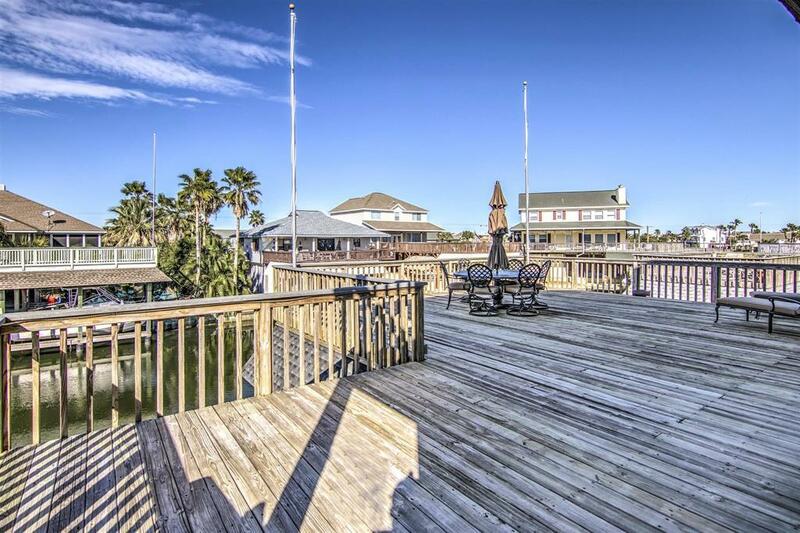 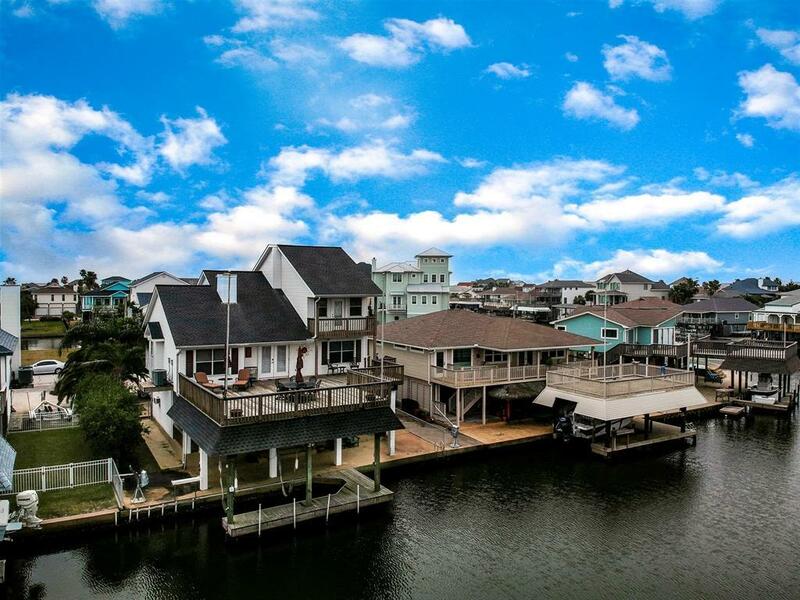 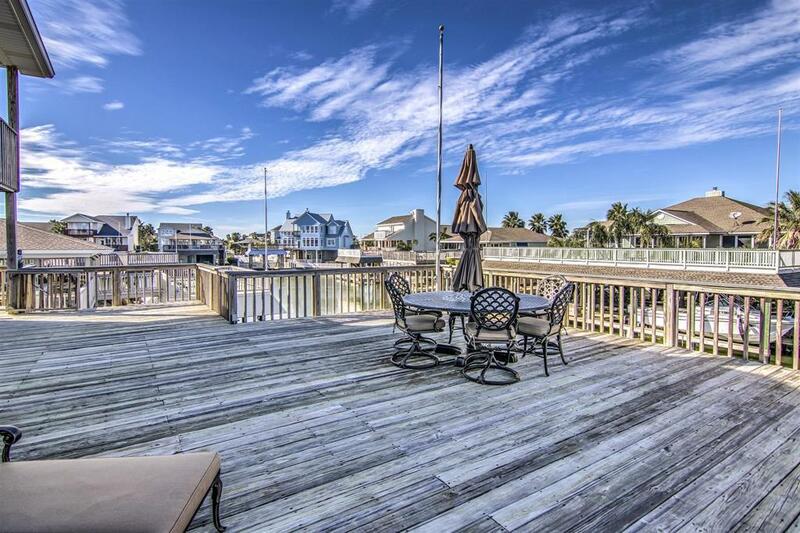 Awesome fishing straight from your deck or just spend time sunbathing and enjoying the view! 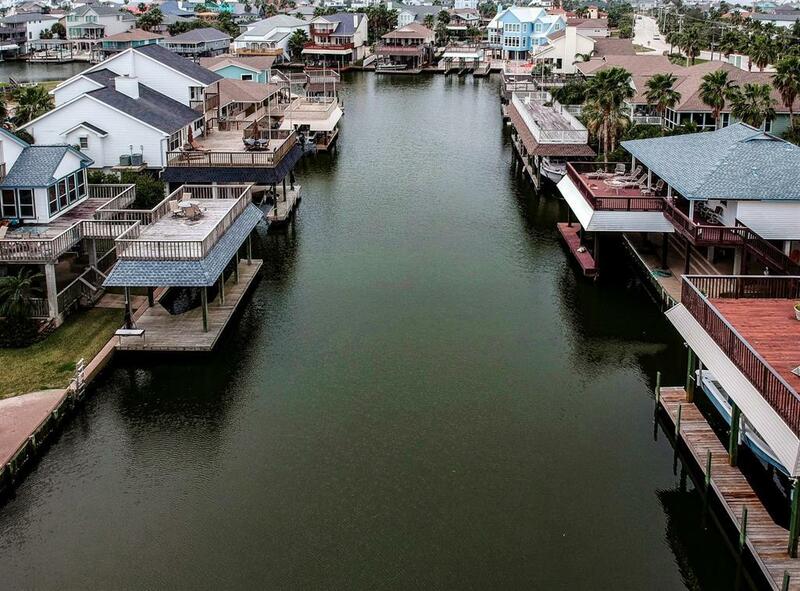 Directions: From I45 Take Exit 4 Toward Tiki Island. 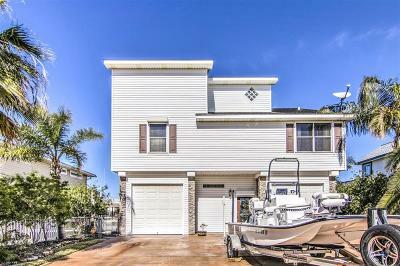 Keep Right To Continue Toward Tiki Drive, Take Left On To Hawaii Drive. 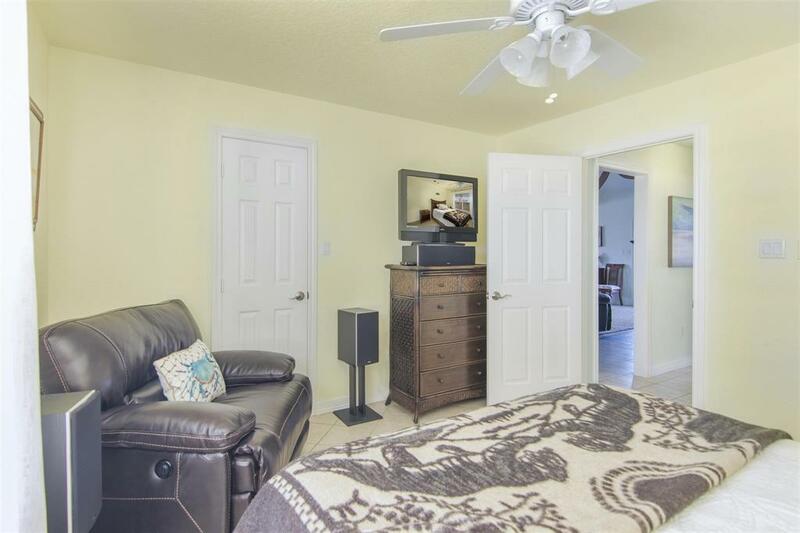 Continue Around To The Right On Hawaii Drive. 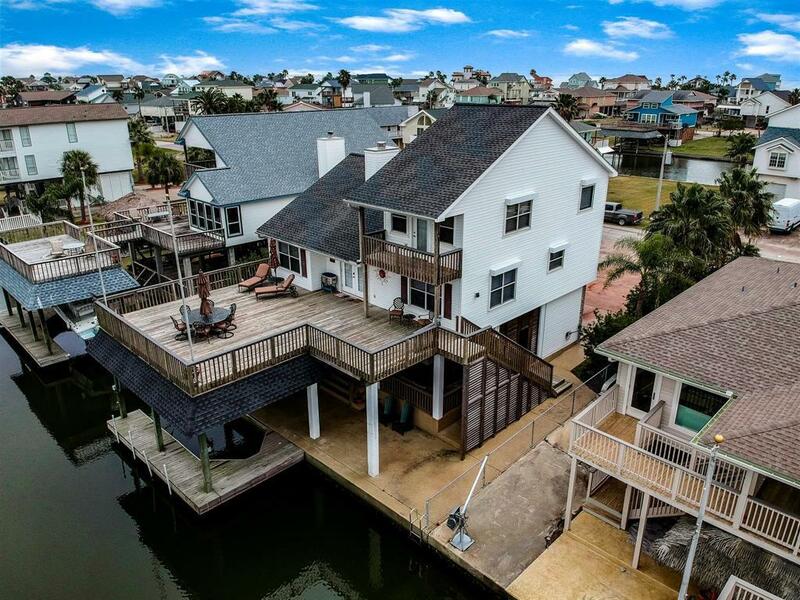 House Will Be On Right.